Barcelona is a very multicultural city with many tourists and expats alike. It’s no surprise that there’s such a large number of different restaurants and bars that offer food from different parts of the world. The Italian community is the second largest in the Catalan capital which explains why you can encounter so many places that will make your taste buds sing. Our Italian team member, Federica, has written a list of a few 100% Italian spots that you simply cannot miss. Buon appetito! It is mandatory to start our list with the most loved Italian food: PIZZA! You will find this little Pizzeria Al Sortidor in a picturesque square in the Poble Sec neighbourhood. The atmosphere is very laidback and genuine, with simple décor, nice staff and most importantly delicious pizzas with fresh ingredients. Their menu features a considerable number of different toppings, making your choice even more difficult. A little secret: on Thursdays all pizzas are only €8 (and every other day won’t break the bank either!). Nothing is more refreshing and satisfying than a nice cone of gelato under the sun. 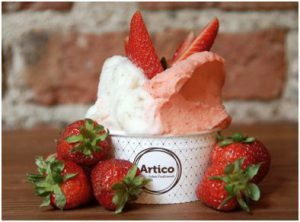 One of my favourite places to enjoy this sweet treat is Artico, a little artisanal gelateria in the hip Parlament area, of the Sant Antoni neighbourhood. You will have the opportunity to choose between over 35 different delicious flavours (vegan included) made only with fresh and quality products – make sure you try the salty pistachio, for a Sicilian twist. Not only can you find ice-creams, but you can also indulge in some typical mouthwatering Italian pastries. A few steps away from the magnificent Palau de la Música, hidden in a little alley, lies a cute Italian restaurant, Le Cucine Mandarosso. As soon as you step foot inside this place you will be catapulted into a cozy atmosphere that will make you feel as though you were having a Sunday meal at an Italian nonna’s. 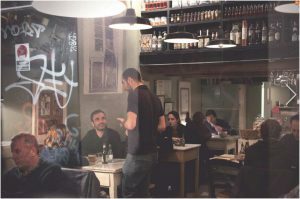 The space is decorated with small tables, dim lighting and cupboards bursting with wine bottles and jars of passata. The menu is based on the recipes passed down by family and friends, paying homage to traditional and authentic Italian cuisine – including many dishes that we now call comfort food. From lasagna to pastiera napoletana, right through to delicious burrata, everything comes in abundant portions. For just €11 you can have a great menu del día, composed of a main course, a drink, a dessert and a coffee. 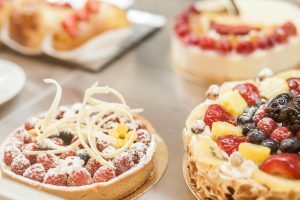 If after this culinary experience you want to further your Italian gastronomic journey then, just around the corner, you will find their Emporio Mandarosso, a little shop that sells all their cakes amongst other typical Italian products. Enjoy! Italian cuisine is known worldwide but there are plenty of dishes that many people are still not familiar with. One of them is a classic from the North of Italy, perhaps the most humble of Italian dishes, albeit delicious, a creamy substance made with just water and corn flour called polenta, often eaten as a side dish with meat, fish, cheese, and veggies…basically anything! 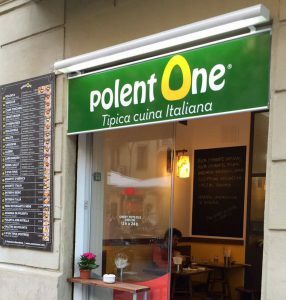 The founder of this unusual take-away, PolentOne, is from Bergamo, a quaint city not far from Milan, but the inspiration behind the idea came from his grandfather who used to own a mill where people gathered to buy flour. Head to the Sagrada Família and enjoy the amazing architecture while tasting the earthy flavours of some fresh polenta… and of course, why not accompany it with a good Italian wine?! Do you have a sweet tooth? Head to Il Forno, a typical Italian pastry shop also located in the Sagrada Família area. As soon as you step inside, the colourful counter will attract you like a magnet thanks to the display of its large number of different pastry and biscuits made with chocolate, cream, fruits and of course a lot of passion for good food. The atmosphere is relaxed and it makes me think of a typical Italian Sunday morning spent in a café sipping cappuccino and devouring a freshly baked croissant. Don’t worry, if you’ve got room for more, they also serve savoury snacks like pizza and sandwiches.